Is A Designer Diploma Worth The Investment? Private colleges may be more affordable for some middle-class California families. Check out Believe it: Harvard cheaper than Cal State to see how you may get more bang for your buck out-of-state. March is upon us and while some high school seniors have already received acceptance letters, the vast majority will hear sometime in March and April. After the initial excitement of an acceptance settles in, most parents are more interested in the bottom line: how much will it cost for my child to attend her dream school? Financial aid packages, which are sent either with acceptance letters, but sometimes a week or two after, can be confusing. Even the most savvy parents get confused, we’ve seen it time and again, so we’ve broken it down. 2. What is the cost of room and board? 3. Are there any mandatory fees? If so, what is the total cost of those? Add the total of 1, 2 and 3. That equals the cost of attendance (A) . 5. What is the total cost of travel expenses to/from campus for vacations student will go home? 6. What is the total cost miscellaneous expenses (toiletries, extra food, going out, spending money)? Add the total of 4, 5 and 6 (B) . Add (A) and (B). This equals the total cost of attendance (C). 7. List each individual grant and scholarship with amount. Add together to get total amount of grant aid. *This money is a gift – you do not need to pay it back. 8. List each individual loan with amount. Add together to get total amount of loan aid. *This money will need to be repaid upon graduation. 9. List total amount of work-study (if offered). *This amount represents the total amount the student can earn over the course of one academic year in a designated work-study campus job. It is not given to students, they must work to earn it. Add 7, 8 and 9. This equals the total amount of financial aid offered by the school (D). Now, subtract (D) from (C) total cost of attendance. This equals your contribution to attend the college (E). If you’ve won private scholarships (see Financial Aid Resources), continue below. 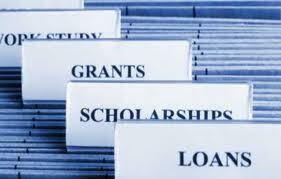 If you do not have private scholarships, (E) is your total contribution to attend the college. 10. List each individual private scholarship with amount. Add together total amount of private scholarship aid. Finally, subtract 10 from (E) your contribution to attend the college. This equals your total contribution to attend the college. Now that (we hope) your financial aid package makes sense, assess whether you can afford to attend the college. If you still have questions or concerns, call the college financial aid office. Financial aid officers are there to help you and want to help you. Do not be embarrassed to call!